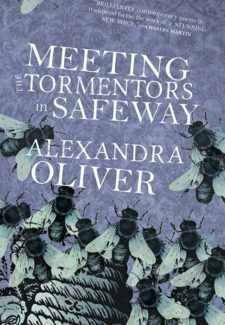 Since emerging onto the Vancouver poetry scene in 1992 and being named one of the Top Ten Young Artists of the year by The Vancouver Sun, Alexandra Oliver has gone on to receive two Pushcart Prize nominations, as well as a CBC Literary Award nomination. She has performed her work at Lollapalooza, The National Poetry Slam, the CBC Radio National Poetry Face-Off, the Bowery Poetry Club, the Spectacular Obsessions Fellini Retrospective at the Bell TIFF Lightbox and the Italian Contemporary Film Festival in Toronto. Her work has appeared in numerous journals and publications worldwide, including Orbis Rhyme International, Nexus, The Atlanta Review, The New Guard, Light Quarterly, Future Cycle Poetry, The Raintown Review, and The Vancouver Sun. Her first book, Where the English Housewife Shines (Tin Press, London, UK) was released in April, 2007. She is also co-editing (with Annie Finch) an anthology of metrical poetry. 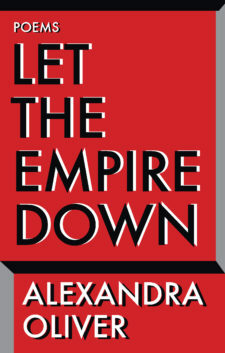 Alexandra divides her time between Toronto, Canada, and Glasgow, Scotland.